In today’s drawing lesson, we’ll show you how to draw Ned Flanders – one of the most famous characters in the animated television series The Simpsons. 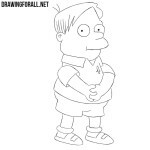 He and his family live next door to the Simpson family. 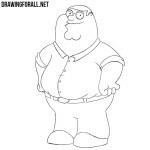 Pious Christian, Ned is one of the pillars of the morale of Springfield. With the help of two circles sketch out the head and belly of Ned Flanders. Connect them with the help of two trapezoid figures. 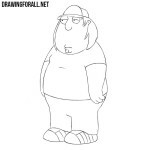 With very light and simple lines, sketch out the arms and legs, as shown in the example below. Let’s sketch out the final details. Carefully draw out round eyes, nose and pupils in the form of dots. 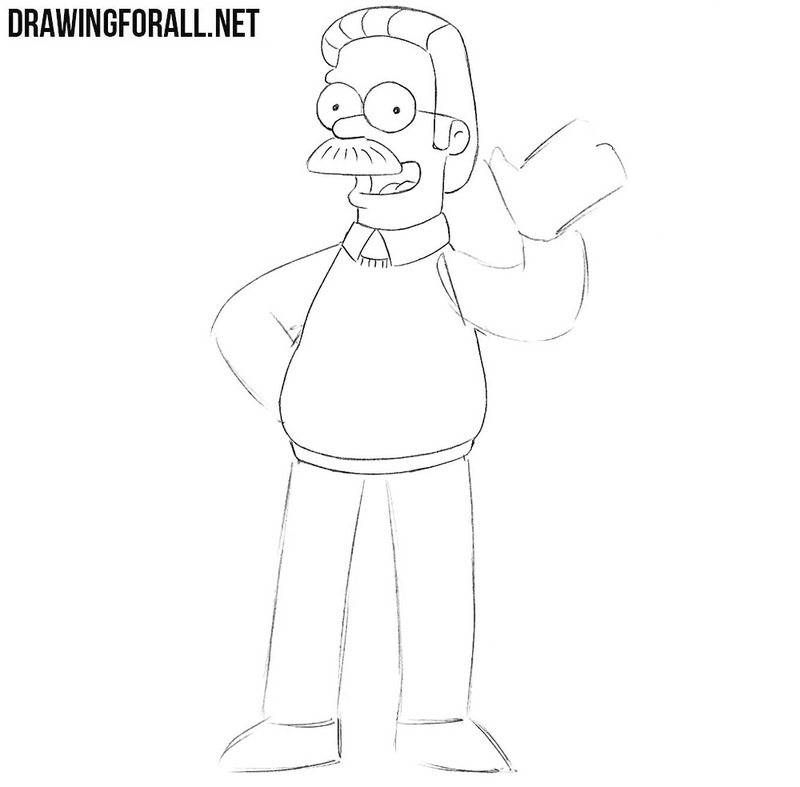 Here we draw out the forehead, hair, and the ear of Flanders. Also draw out the temples of the glasses. A very simple step – here we need to draw out the shape of the mustache and the lines of hair inside the contour. 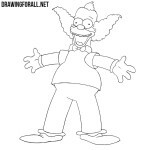 Here we finish Flanders’ head, drawing the mouth, the tongue inside the mouth and the outline of the neck. Draw the collar and outlines of the torso. Like all Simpson characters, Flanders is for some reason quite abdominous. 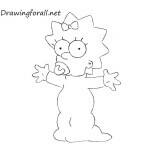 With the help of smooth lines, carefully draw the arms and open in a friendly greeting palm. 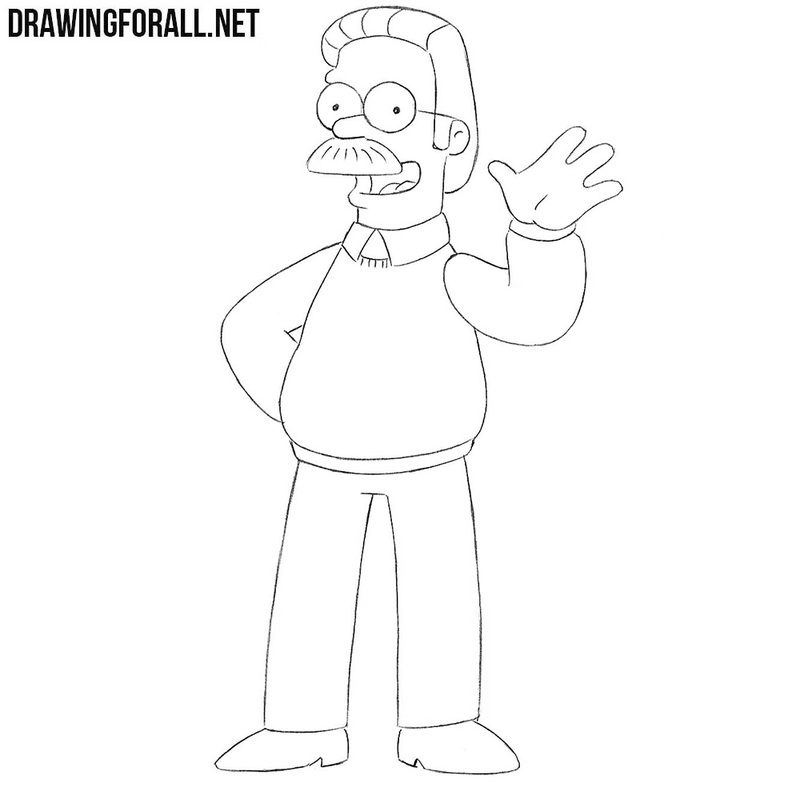 The last step of the lesson about how to draw Ned Flanders. Here we draw the legs with simple lines and shoes. 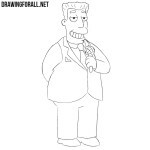 Is there a drawing lesson about your favorite Simpsons character on our site? If not, then write to us about this, and we will definitely do for you a lesson about your this character. In any case, write us your wishes and criticism, we will be very pleased.